Nos hôtes ont l'occasion d'écrire des avis dans un carnet. « Nous avons vraiment apprécié Tivoli, c’est lumineux, confortable, et nous procure un espace de tranquilité et reposant pour notre travail, étude et relaxation. La région est belle et offre de grandes possibilités d’exploration en fonction de ce que l’on aime. Il serait magnifique de revenir ici pour prendre plus de temps de ce lieu, nous espérons le faire. Merci pour votre accueil, Benoit. Nous avons passé des vacances uniques. Les propriétaires, Benoit et Tania sont vraiment charmants, nous avons été accueillis dans le gîte réservé, celui-ci répondait parfaitement à ce que nous attendions, un lieu propre et lumineux aménagé avec goût, idéale pour le repos et des activités variées en famille dans un cadre exceptionnel sur 360°; un coin de France qui se prête merveilleusement à la promenade, baignades dans la piscine, à du kayak dans le lac tout près, l'équitation et les autresspécialités locales, la visite de nombreux châteaux, les vestiges cathares, les villages alentours, carcassonnes, et autres spécialités de la région. Un coup de coeur ! La prochaine fois j'y retourne seul avec ma femme, et je prendrais le petit gîte (très bien aussi) - à recommander. Merci c'était un plaisir de voir que les enfants se plaisaient chez nous y compris à jouer avec notre garçon. Nous espérons vous revoir bientôt on rejouera une partie de pétanque et bbq. A noter qu'il reste encore des châteaux Cathares à voir et promenades en VTT sur la Voie Verte vers Mirepoix (maisons à colombages + marché) ! What a wonderful holiday! We have stayed in many gîtes, but never in one like Le Bourdil! Indeed, some of the best days have simply been spent in the garden, enjoying the beautiful views, the varied wildlife, & what must be the cleanest swimming pool in France. When we managed to tear ourselves away from the pool, we had a great time exploring Aude and Ariege. We can only echo [the previous] comments, lovely accommodation and surrounding gardens and pool, superb countryside - a terrific week - and we seem to have been very lucky with the weather! A week of delights....as we explored this varied and friendly part of the world. We'll remember the amazingly perched castles, the countlesss views, the many charms of Mirepoix....and a great flapping of 30-40 red kites as they sought supper in a new-mown hay field. A fourth splendid séjour in Chalabre....great comfort, good company and lots of opportunities to relax. Memorable meals....otherwise the joy for us is the countryside vistas. Many thanks for all the help you gave us in Chalabre. We all had a great time. Well, we're coming to the end of a fortnight of wonderful weather here - up to 30°C for those of you who're wondering about the Spring weather. Almost unadulterated sunshine! We've loved the beautiful countryside, empty roads & trips to Montsegur, Mirepoix, Foix, Roquefixade & Esperaza, & we really hope to return sometime. A most enjoyable week visiting all the recommended sights. Quiet roads - a pleasure to drive! Very comfortable accommodation in a beautiful setting - ideal for scenic walks. ....we have had a wonderful holiday. Lovely Gite, in beautiful countryside....all add up to a great holiday. Delightful setting, comfortable gite....all made up for a very enjoyable and pleasurable time spent at Chalabre. Our third visit to Le Bourdil, we found everything just as delightful as on our previous visits in 2003 and 2004 ....beautiful scenery, lots of great places to visit, or peace and quiet if you prefer! Our third visit and I hope we will be back again, which says it all. An excellent, but all too brief holiday in lovely surroundings. Highly comfortable accommodation and facilities. A most delectable place : beautifully situated with delectable views of a "très bon paysage" .... I have loved this house and do wish that many of my friends may come to know it. You've made our stay here feel like a real home from home. It's such a beautiful location. (MARCH) We have enjoyed our week here immensely. Spring has sprung and every morning practically was full of spring sunshine. The Gite is beautiful and very comfortable. A very enjoyable week (but unsuccessful this time) house-hunting. Bourdil a tremendous Gite. Wonderful weather and scenery. What a perfect place to be based to see the area. All in all a wonderful week's holiday, would certainly recommend the Gite to friends and family. We have thoroughly enjoyed our 2 weeks at Le Bourdil - definitely the best gîte yet by a long way .... spectacular views from virtually everywhere we've visited .... All in all a really great holiday in a truly stunning area of France - we'll surely be back. A very clean, relaxing and well-equipped gite in beautiful surroundings .... we can recommend Collioure on the coast, Carcassonne for meandering back streets, and Mirepoix for drinking coffee in the sunshine. Our week at Bourdil went by too quickly - too many places to visit in too short a time. Our gite at Bourdil was excellent, so well-equipped and comfortable. We could not have wanted anything more from the gite, ever-inviting pool, bbq and grounds and amazing information file. We can appreciate how hard you have to work to achieve such high standards. A great 2 weeks at Le Bourdil. We made the most of the outside lounge which was great in the evening to relax with a glass or two of the local vin. We found the people in the village very friendly when we tried our school French. Great accommodation, pool and surroundings. This is the second year we have stayed at Le Bourdil and once again we have thoroughly enjoyed ourselves .... we have spent some lovely evenings sitting outside sampling the local vin! We found a little nirvana! Tout était magnifique! A wonderful week. I'm going back older than when I came - a wonderful place to turn 50 in! We loved Carcassonne, Montsegur, Mirepoix, Foix, but most of all Le Bourdil. What a splendid place to relax and laze in the sun, with occasional dips in the pool. We did not venture very often into the glorious countryside - of which we saw a lot last year - but the view from the garden offers a taste. We have had a splendid third holiday at Le Bourdil. Short trips in all directions were as lovely as ever. Above all, peace, quiet .... Long may the sun continue to shine, and the skies stay blue. A l'année prochaine, peut-être. What a glorious spot! What a delightful place to hole up for a week. We feel ready for anything again. What more can you say? Thank you very much. We all had a fantastic time at Bourdil. We enjoyed breathtaking scenery, particularly (the) drive to Andorra - highlight & recommended .... we'll be back! We have had a lovely time .... this was a fitting finale to our month long holiday in sunny France. .... a memorable and enjoyable holiday .... we're going home "well-chilled"! We have all thoroughly enjoyed our stay here. The countryside & towns & villages are beautiful and we have found the locals extremely friendly .... also enjoyed the markets and lazing by the pool. Second visit and just as good! Re-visited favourite places and saw a few new ones! Spent some relaxing days by/in the pool and enjoyed the ambience of the gîtes, the grounds and Chalabre. Perhaps we shall return for the hat-trick - who knows? First visit, hopefully not the last! Stunning scenery, and many interesting places to visit - not enough time in one week to do it justice! A superb autumn break in Cathar country. Wonderful scenery all around, whether on foot - or further afield by car. Visited several Cathar castles, and particularly enjoyed the one at Roquefixade for its great views. A very interesting & relaxing holiday. Beautiful countryside, good food, history everywhere - and the wine's not too shabby either! We have had a lovely relaxing week, the gite was clean and comfortable. What more could you want! We will thoroughly recommend the gite to our friends. Many thanks for a lovely week at this really well-equipped and comfortable gite. We will recommend to our friends Down Under. Having, over the years, enjoyed staying in various parts of the Pyrenean foothills, it was with delight that we were able to discover yet another beautiful region. The gite has been a comfortable, well-equipped and beautiful place to stay, and the trips to local towns have been most enjoyable. Every route has beauty and the wild flowers everywhere - including this garden - have been the icing on the cake. We have had a marvellous holiday. We have had a really enjoyable stay here with good weather, great excursions, beautiful scenery .... etc. We hope to see you again. Aragou very spacious and comfortable accommodation. We enjoyed travelling but equally enjoyed being "at home" at Le Bourdil. We found plenty to do and visit for two weeks within 1 hour's drive. Also enjoyed use of the pool after a day's outing. Lovely gite, surrounding area very beautiful, we enjoyed very scenic drives, especially the drive to Perpignan along the D117. We came, we saw, we fell in love - beautiful scenery, many interesting places to visit. 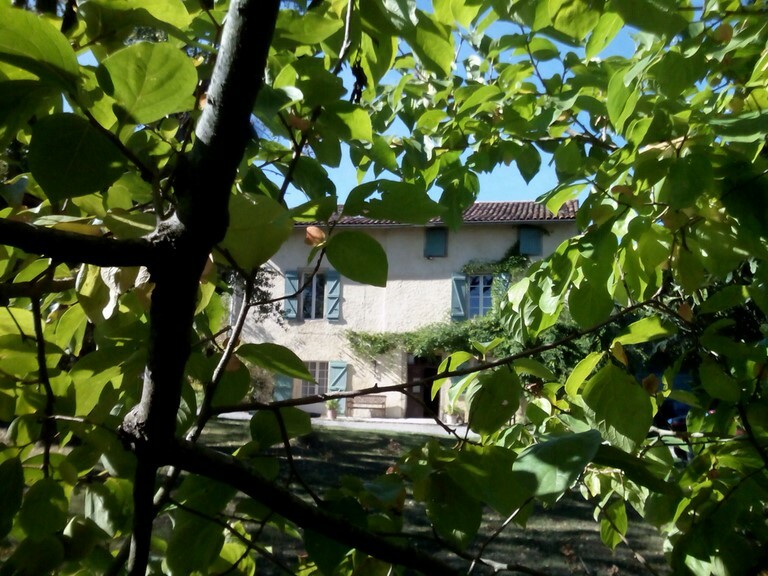 The walks, the views, the food, the French so friendly and helpful, the gite, our home for two relaxing weeks, comfortable and welcoming with its beautiful garden and surroundings, the pool so inviting after a hard days touristing! Must be the cleanest pool we've ever swum in. The gite, the scenery and the wonderful weather have all combined to make this a memorable holiday. Our stay at Bourdil was thoroughly enjoyable and was so peaceful we were tempted to stay put and laze by the pool. We saw Mirepoix, Limoux and Cacassonne and had some pleasant short walks around the area. This has been one of the best gites we have ever stayed in - lovely surroundings, restful colours, endless butterflies and the slow, easy gliding of the kites and buzzards. Chalabre is a great little town - either café is good for a drink, and a sit and watch the world go by! Our stay at Le Bourdil has been great, it has been very relaxing. The gite is very comfortable, the gardens are really good along with the pool and the table tennis. Chalabre is very nice, good to explore, and the locals very friendly and helpful. I've really enjoyed it here. We came for a relaxing week and that's exactly what we got! The silence was deafening!! We will certainly recommend Le Bourdil to anyone who is looking for a place to relax and 'chill out'. Try the 'drive-through' cave at Mas d'Azil .... see Castres with the 2nd largest collection of Spanish paintings in France. Haven't been to this part of France before but it has certainly whetted our appetite and we hope to return to explore more. We have had a brilliant time over the last two weeks .... the pool was great .... really enjoyed it here in the south of France. The gite has been everything we could have asked for! 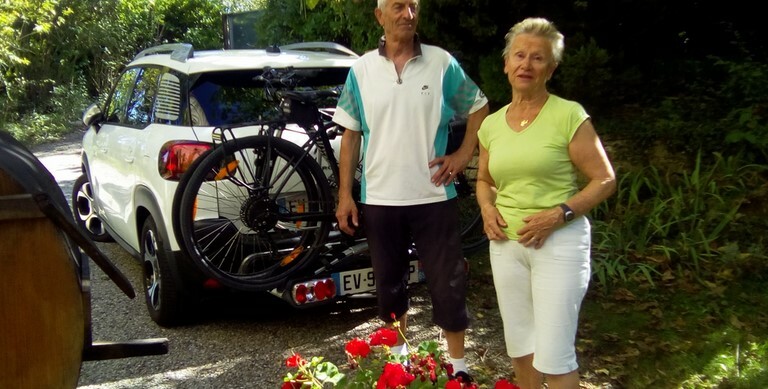 Our stay at Le Bourdil has been extremely happy and memorable (particularly as we had never self-catered before!). Aragou gite is magnificent and has spoiled us for elsewhere. A quiet and peaceful week in lovely surroundings. Just what we needed to recharge the batteries! 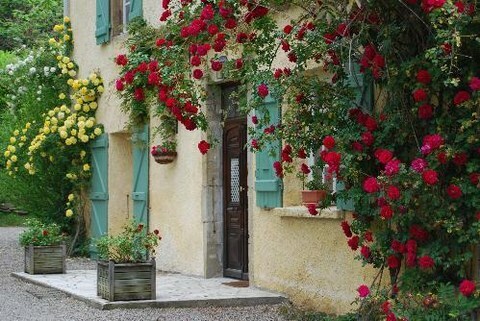 A beautiful little gite (Tivoli). ....we had a good holiday thanks in no small part to our hosts .... and the gite itself made it memorable. We had a great time in Chalabre and most definitely enjoyed your place. (OCTOBER) A most enjoyable stay at Le Bourdil. A highlight must be a visit to Montsegur and the Cathars. 'Peaceful and tranquil' can fairly describe our stay - and very friendly people everywhere, without exception. Chalabre is a lovely town/village….All the shops and bars are very friendly. We found the 15€ menu at Hotel de France superb value! The walks in the area are worth investigating - make use of the disused railway tracks. There are plenty of good picnic spots in and around the villages - we tried six in six days! Our stay in Le Bourdil will be memorable in many ways - the scenery, the little fortified towns, and not least Le Bourdil .... We would recommend just pottering around Chalabre, talking to locals and taking photographs. Don't miss the old baths (now the library) and the wonderful shop signs in metalwork. We would recommend Puivert for the marvellous castle and excellent museum .... the walk to Montbel Lake .... Foix and Carcassonne .... Mirepoix for its market .... just about any minor D road for travelling through some of the most delightful scenery anywhere. Our stay at Le Bourdil was one of the best holidays we've had. A visit to Le Cité at Carcassonne is a must .... saw the Bastille Day fireworks there .... amazing! Foix is a beautiful town with impressive Château, situated in the foothills of the Pyrenees, and is well worth a visit. The scenery we have enjoyed has been amazing .... The drive through Quillan towards Perpignan includes winding mountain passes, dramatic gorges and the incredible Cathar castles of Queribus and Peyrepetuse. We had a gorgeous lunch on Le Place de Capitole in Toulouse before admiring the artwork inside the Capitoleum building. Encounters with French wildlife have included owls, wild boar, beavers, and fantastic views of red kites, buzzards and hawks in the back field at Le Bourdil .... lovely meals by the window, and days relaxing by the pool .... Don't want to go home!! Thanks for your hospitality last week. We had a lovely time, in your super home which we'll feel happy to recommend to family and friends. Very spacious and comfortable gite. We have had an extremely relaxing stay. We enjoyed visiting .... Mirepoix followed by a trek up to Montségur (this is a must - go on a fine day) We loved Chalabre and also visited the Château (great for children). Many thanks, we had a great time. Superb - excellent accommodation .... A wonderfully relaxing atmosphere. We have had a relaxing stay, the accommodation is excellent. Scenery and views are fantastic. Best gite we have stayed in - views stunning, atmosphere superb - just wish we were here for 2 weeks, and look forward to returning. Peaceful, relaxing and very comfortable. A lovely spot The best apartment we've stayed in - hope to come back soon .... I like our apartment. It's like a palace! An absolutely charming and relaxing stay in a very comfortable gite .... a very enjoyable week. We very much enjoyed our week in Chalabre .... Many thanks for your welcome and for providing such comfortable accommodation. We have had a fantastic week; this is a fabulous setting .... , and the people are very warm and friendly .... We will certainly return .... This has to be one of the most beautiful parts of France. The scenery is superb .... had a wonderful time .... found your little piece of heaven enchanting .... thank you both for a wonderful week. We thoroughly enjoyed our stay with you, and look forward to returning sometime. A week much enjoyed. This is a splendid 'Gite' and we were made most welcome. Trips to the market at Mirepoix, Carcassonne, Montsegur, Rennes-le-Chateau fed our interest in local history, especially of the Cathars. We spent 2½ hours gently boating at Bram on the Canal du Midi; we walked to Sonnac. We enjoyed the swimming pool, the table tennis, the hawks overhead, the beautiful scenery and views. (OCTOBER) A fine week of weather .... As a centre to explore the area it's perfect and at this time of year the temperature is ideal for walking .... We've been made very welcome .... and will be back? Chalabre is in het departement de Aude in de regio Languedoc-Roussillon in Zuid-West Frankrijk, omringd door de Kathaarse kastelen en zo doordrenkt van geschiedenis. Het is de hoofdstad van de regio Quercob, met nabijgelegen steden: Mirepoix en Limoux. Bourdil biedt twee onafhankelijke, ruime en hoge kwaliteit self-catering appartementen met moderne keukens en doucheruimtes. Gelegen op de eerste verdieping met eigen ingang en een korte trap toegankelijk, deze zijn niet geschikt voor jonge kinderen of iemand met een lichamelijke handicap. Zij kunnen afzonderlijk of samen gehuurd worden voor grotere groepen. Min. - Max. aantal personen: 2 - 10 personen. Parkeren: parkeren binnen in de residentie. Gratis diensten: Kinderstoel, kinderbed, badje.